Tags: Audio mixing equipment, OS and DAW optimization. Compressors, Reverb and EQ are the most important effects in audio mixing. When used properly, they significantly improve the quality of your audio mix. 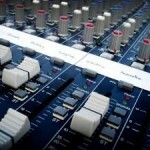 This beginner tutorial will talk about how to connect them to your mixing console. 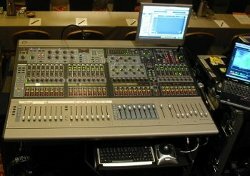 This is referring to hardware mixing consoles (the one you commonly see in big studios, see picture below) and digital audio mixer inside your software (as they often mimic real world mixing console). The principle of operation is basically the same except that its more flexible in software. This post assumes you have basic knowledge about pre-faders, post-faders, aux sends/return and Insert FX. 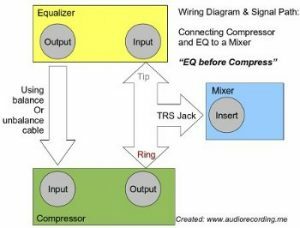 EQ works by altering the frequency response of the signal. In most audio mixing practices, these two effects are used together (in tandem with one another). Some applications need you to EQ before you compress. 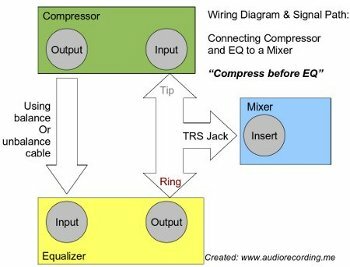 There are also instances where you need to compress before you apply EQ. 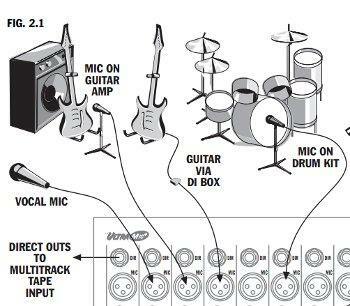 It depends on the sound you are working on. 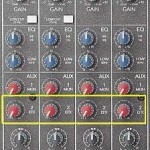 In most cases, you should be using the “Insert FX” feature in your mixer when connecting a compressor and EQ . In DAW software, this is usually the FX you see in the mixing session.Connecting as inserts makes them in series with the signal paths. There are also instances where you will be connecting compressors in parallel, this means using aux sends and return. A typical application is to accomplish a bit of loudness and punch to a mixed track. For example you would want to produce a powerful snare drum sound. So you might want to connect the compressor in parallel and then send the “wet” or “compressed” signal to mixed with the dry signal. The result is a big sound. This is not only used in snare drum tracks but to any audio tracks in the mix. If you are using Reaper DAW, you can read this tutorial on Reaper aux send to learn how to set up parallel compression in your mix. Unbalanced cables are common causes of noise in recordings. So it’s recommended if possible always use balance cable when making connections with your hardware. To do this; simply plug the TRS jack of the insert cable to your mixer insert. Take note that in an insert cable, the red jack is the ring and the white/gray is the tip. Reverb unit is commonly connected in Aux sends/return in your mixer. The main question is whether to add it post fader or pre-fader. For most reverb mixing applications, you should do it post-fader since you can maintain the same dry/wet ratio even if you adjust the fader. Why? For example you set the reverb to 40% wet, 60% dry ratio. If you increase the fader level, this will increase dry input signal to the reverb unit but the amount of wet signal would also increase to maintain the ratio. If your mixer has aux send 1 and aux send 2, you will be needing only one. For example you use aux send 1 only. 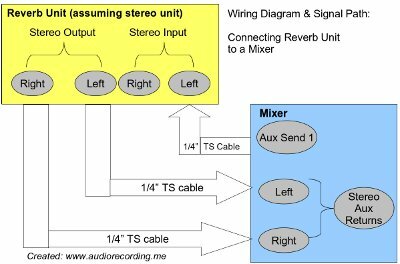 Connect ¼ TS cable from aux send output of the mixer to either of the reverb unit stereo inputs (for example the left channel). 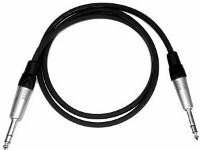 Now use two ¼ TS cables to connect the reverb stereo outputs to your mixer stereo aux returns. 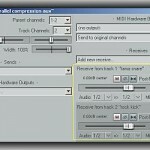 For audio mixing software, the concept is similar. If you are using Reaper, you can read this tutorial on Reaper aux send to add a reverb plugin to your mix. Adding reverb on aux sends and return is adding effects on parallel. Adding EQ and compressors in series with the signal path is inserting FX on your mix. Always remember this rule. Pre-fader vs Post-fader Aux sends/return and Insert FX: How to use it?